Our proprietary formula with one of the highest organic contents in the industry. Palm-free, vegan, loads of lather, and "no bad stuff!" 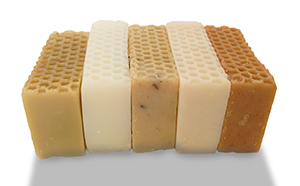 Organic soaps with USDA Certification that are gentle on skin and have a super simple ingredients deck. That's what we're all about! Added organic vegetable glycerin (palm-free) and organic shea butter keep the soap gentle on even the most sensitive skin.